Native wild foxglove. May-July. Spotted purple flowers. Evergreen grey green leaves. Biennial. Ht. 140cm. Sp. 30cm. Well drained soil. Shade or part shade. Best planted in bold groups. ​We aim to dispatch our container grown stock within 5-7 working days & 7-10 working days’ for bareroot stock. However there may be a delay on certain plants due to regular changes in availability and plant quality. We only send plants of optimum quality therefore your delivery may be split and plants sent to follow later. Whilst we try and keep our website up to date inevitably during busy period’s plants may sell out. We advise you contact the nursery regarding availability should you have any concerns. 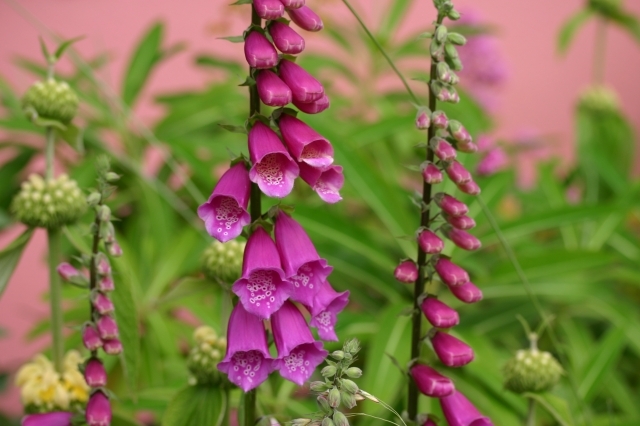 Or Click Here to find out more about our mail order plants. Collections – For container grown stock we need 4 workings days’ notice before collection & 10 days’ for bareroot stock. Pre ordered collections can be picked up any day by appointment except Sunday. You can specify which date you will be collecting on in the 'order notes' box at the checkout, if no date is added we will email you direct to ask when you'd like to collect. If you need to change the date that's not a problem, just contact us either via phone or email. Due to the commitments of the nursery we are unable to offer an 'as and when' collection service. The nursery is open for browsing & buying every Saturday between March-October and the first weekend of each month from March-October. 10am-4pm. The nursery office is open Monday-Friday 9am-5pm & Saturday 9am-12noon. Plants can be collected from the nursery by appointment on any day except Sunday.